The SunShine Shack is a popular beach bar located on the soft sands of Rendezvous Bay in Anguilla (just 20 minutes ferry ride from St. Martin). You can find us near the Anguilla Great House Resort. Join us for amazing food from the grill, ice cold drinks, and reggae tunes with a great atmosphere. We host live music on Weekends. All good vibes, you won’t want to leave, we promise. 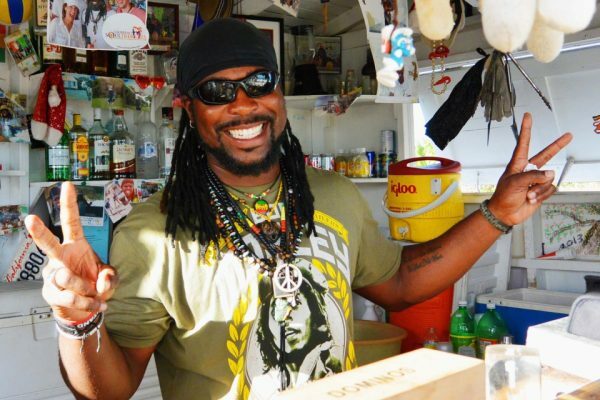 Garvey Lake is the chef/bartender/owner of the SunShine Shack.